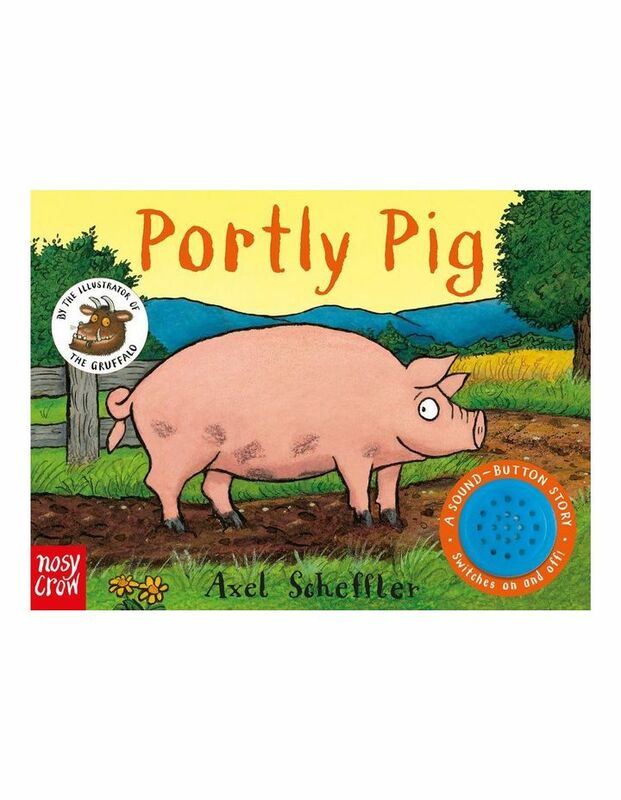 A friendly farmyard picture book tale about a Pig called Portly. This brightly coloured picture book from Axel Scheffler, comes in a sturdy board book format with a built in big sound button. Little fingers will enjoy pushing the big sound button to hear Portly's noisy oinking. Portly Pig loves nothing more than being mucky! He sets off around the farm in search of a big muddy puddle, but what will he do when it starts to rain?